In just a couple of days, 2018 will be knocking on our doors. Although we still can’t quite comprehend how quick 2017 has flown by, we hope that you are ending off the year with some good fun and cheer at the various events and activities that are taking place in Singapore this December. As the saying goes, a brand new year, a brand new start, a brand new you. Whilst reflecting and planning your goals and ambitions for the year ahead, it would definitely be good to cater some time in your schedule for a breather and to simply celebrate the arrival of the new year! Here are 24 Events In January 2018 To Usher In The New Year. From concerts from world-famous artists such as Jay Chou and countless other plays and events to be involved with, January is looking to be a month packed with much excitement and cheer. And from all of us at Ladyironchef, we wish you all a very Happy New Year and a fantastic 2018 ahead. 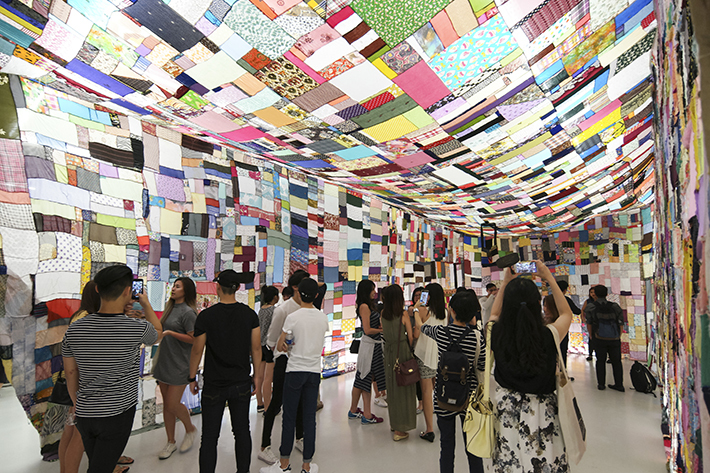 Returning for its 8th edition from 26 January 2018 to 28 January 2018, ART STAGE Singapore is the flagship show of the Southeast Asian art world which seeks to develop and bring together art from various regions in Southeast Asia. Artworks featured at ART STAGE Singapore will also focus on highlighting the beauty and techniques of Southeast Asian art. A one-day pass will cost you S$32 and three-day pass, S$52. All prices quoted are exclusive of SISTIC booking fees. A play hosted by M1 Singapore Fringe Festival, Emanuella Amichai (Israel) — The Neighbor’s Grief is Greener gives attendees a peek into an archetypal sterile and static setting of a 1950s American suburban kitchen through contemporary dance and physical theatre. Free seating tickets are going at S$27, exclusive of SISTIC booking fees. An original work for the stage brought to you by theatremakers Jaturachai Srichanwanpen and Tan Shou Chen, be enthralled by Open Waters — A Story of Two Cities which uses the geographical power of water to tell the story of two new myths and convey each theatremaker’s prophetic examination of the other’s city. The play will be performed in English and Thai, with English and Thai subtitles. Registration is necessary. The annual Singapore Art Week is back this January and it is one massive arts festival that you do not want to miss. There will be dozens of exhibitions, walking tours, art fairs and after-parties across precincts, galleries and museums. Commissioned by M1 Singapore Fringe Festival, Walking in Beauty—curated and directed by Petrina Kow—is a performance which explores the relationship between women and beauty through personal stories presented by Anita Kapoor, Arianna Pozzuoli, Deborah Emmanuel, Frances Lee, Oniatta Effendi and Dr Uma Rajan. Free seating tickets will cost you S$27, exclusive of SISTIC booking fees. Probably one of the most iconic action film franchises in history, seize the chance to feel like James Bond at 007 In Concert which is taking place from 19 January 2018 to 20 January 2018. Direct from London, 007 In Concert will feature 28 world-class musicians from the United Kingdom and from the BASE Philharmonic Orchestra in Singapore, who will take you on a musical journey of music from each and every James Bond film. Ticket prices range from S$65 to S$580, exclusive of SISTIC booking fees. Remember the catchy hit “Pumped Up Kicks”? Well if this was and still is a tune that you love, you would be glad to know that Foster The People will be live in Singapore on 30 January 2018 at Zepp @ BigBox Singapore. Standard tickets are going at S$138 and Priority Entry tickets which include a mystery gift, S$158. All ticket prices quoted are exclusive of SISTIC booking fees. Following the success of Harry Potter and the Philosopher’s Stone in Concert, Harry Potter fans have another reason to rejoice with Harry Potter and the Chamber of Secrets in Concert on 19 January 2018 to 20 January 2018. Whilst watching the second chapter of the film series, the Metropolitan Festival Orchestra will be performing music from the entire film live to picture; an unforgettable magical experience indeed. Ticket prices range from S$69 to S$255, exclusive of SISTIC booking fees. One of the most popular alternative rock bands worldwide, Imagine Dragons will be coming to Singapore on 07 January 2018 as part of their Evolve World Tour. And if you’re a fan, make sure that you get your tickets ASAP as they are selling out fast! Ticket prices for the concert range from S$98 to S$228, exclusive of booking fees. Hosted by the Singapore Symphony Orchestra, be swept away on a musical journey of shadows and luminance, calm and fanfare at Mahler 7 on 06 January 2018. Tickets range from S$15 to S$88, exclusive of SISTIC booking fees. To end off their 10 years on YouTube, YouTube personalities Munah Bagharib and Hirzi Zulkiflie—known as MunahHirziOfficial—are putting up a one-night-only show at Capitol Theatre on 24 January 2018. It will be a night filled with performances, laughter and comedy. All tickets are free standing/seating and are available on a first come first serve basis. Do note that only the Standard General Admission (Standing) tickets (S$65) remain available for purchase as the others are sold out. As part of the Prudential Marina Bay Carnival, expose yourself to the hottest emerging indie acts from Singapore’s underground music scene at The Promontory @ Marina Bay from 05 January 2018 to 07 January 2018. Acts in the line-up include Causeway Youth, Lincoln Lim and Amberhill and admission is free! 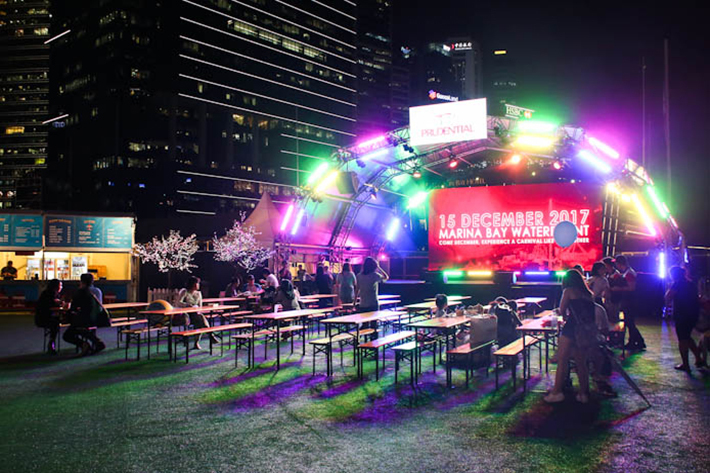 Returning to Singapore on 27 January 2018, St. Jerome’s Laneway Festival will be held at The Meadow, Gardens By The Bay this year. The lineup for the festival features notable artists such as Wolf Allice, Loyle Carner and Paak & The Free Nationals. Tickets have been on sale since 05 October 2017. Standard tickets will cost you S$158 and S$200 per ticket for door sales. Arguably one of the most anticipated concerts in 2018, Jay Chou—the king of Mandopop—is coming to Singapore on 06 January 2018 for the first leg of his “The Invincible 2” Jay Chou concert. If you managed to secure tickets for the concert, good for you. But for those who wish to catch a little of Jay Chou’s live performance, YouTube or Spotify will unfortunately have to suffice for now. A concept formulated during the spring of 2016, the Indigenous bartender is a platform for like-minded bartenders to gather and explore and utilize locally sourced ingredients through a creative culinary approach. On 15 January 2018, the Indigenous Bartender will be having a pop-up at Operation Dagger and guests can expect to delight in favourite flavours from previous pop-ups as well as some new creations. Ever wanted to have a hand at making your own ice-cream? Get in on all the action at Udders’ ice-cream making workshop on 20 January 2018! 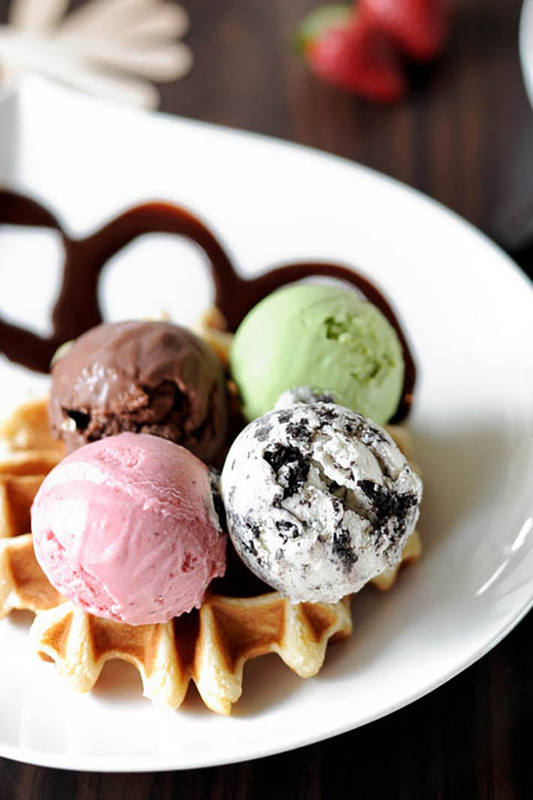 Aside from learning more about ice cream, participants can dive into an all-you-can-eat Udders Ice Cream Buffet at the end of the session and the chance to bring home take-away pints at an exclusive 10% discount. Tickets for the workshop will cost you S$45, exclusive of booking fees. The largest world snack fair will be coming to Suntec Singapore Convention & Exhibition Centre for three days from 19 January 2018 to 21 January 2018. Attendees can expect more than a hundred brands of snacks over 5 different snack zones (Japan, Korea, Euro, Australia and Asia) available for purchase and they will also be treated to a free tasting of Doraemon Yogurt at the front entrance of the convention centre. Priding themselves as the leading and largest baby fair in Singapore, Baby World 2018—brought to you by Baby World – Largest Baby Fair in Singapore and Mummy’s Market—is taking place at Singapore EXPO Convention and Exhibition Centre from 19 January 2018 to 21 January 2018. There will be top leading brands, premium products, unbeatable deals and tons of savings on baby products! 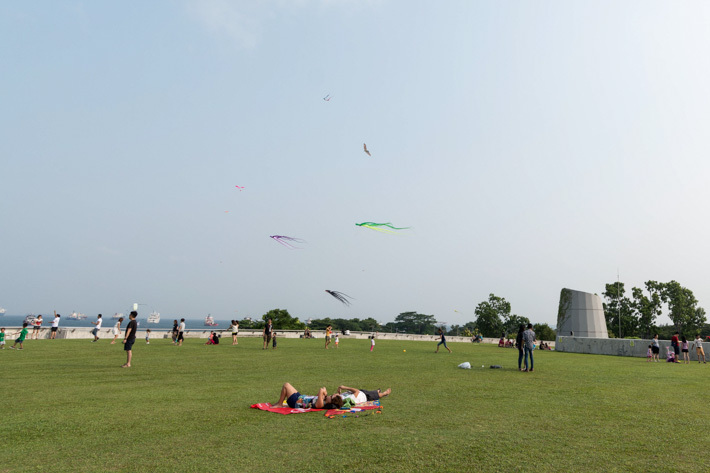 The 3rd edition of EarthFest is happening on 14 January 2018 at one of the most beautiful locations in Singapore, Marina Barrage. EarthFest is all about sustainability and fun and that’s what you’d get at their food fair with international and eco-friendly food offerings, a Farmer’s market and more. If you’re a makeup junkie, Global Face Art Singapore is one event that you need to attend. Kryolan’s popular Global Face Art is back from 30 January 2018 to 31 January 2018 and this is where world-renowned and award-winning make-up artists will gather to share their expertise and skills at the Capitol Theatre. Tickets are required and can be purchased here. In the blink of an eye, Chinese New Year is back again and one of the best ways to usher in the Chinese New Year is at the River Hongbao, a lively celebration featuring the likes of giant lanterns, amusement rides and delectable Chinese cuisine at the Floating Platform @ Marina Bay. If you didn’t catch their last market at Bedok Reservoir Road, Singapore Really Really Free Market 53 will be taking place again on 14 January 2018 at Marina Barrage as part of the EarthFest. For the uninitiated, the Singapore Really Really Free Market is a temporary market which is founded on the beliefs of giving and building a community which shares resources, cares for each other and improves the well-being of all. And yes, everything will be free and you can also do your part by bringing a couple of your belongings to give to others who need them! Tickets can be purchased at the door for S$10. For many of us, the Pokemon series was a vital part of our childhood and on 27 January 2018, Pokemon fans can relive the happy days of theirr childhood at the Pokemon Run Carnival Singapore 2018. Hosted by Spacebib and RunSociety, the Pokemon Run Carnival Singapore 2018 will feature a running route made exciting with an upgraded adventure course with Pokemon-type themed inflatables and zones. There will also be a Pokemon carnival where Pokemon trainers will be guaranteed a day of fun.